If anyone had said to Matthew and Miriam that they would be dating, getting engaged, buying a house together and getting married, all within the year 2004, they both would have laughed thinking it was some kind of joke! Matthew suffered from meningitis at the age of three and was left profoundly deaf. With Matthew’s poor confidence and difficulty with language and social skills inherent with his hearing loss, he had given up ever finding anyone. Matt took care of his mum who suffered multiple problems. Finding time or even believing that there was a life of his own out there was almost impossible. In June 2003 his mother died leaving him with no family. His friend Graham told him about friendsfirst, suggesting that maybe that might be of benefit. After looking at the brochure Matthew decided against it, thinking: “not in a million years, no- one would want me” and threw the leaflet away. 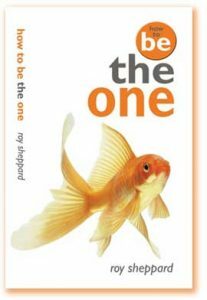 Some months later, Matthew had a momentary burst of courage, and rang Katharine Gray (the friendsfirst Director). She sent the forms out along with some example profiles. When Matthew read them he quailed, rang Katharine and explained that he was unable to fill in the forms and that the very sight of them was reducing him to tears. Katharine asked Matthew about himself and using what he was able to say filled in the form and wrote the description for him. Miriam, a teacher, had little time to meet others. She only ever had the experience of unpleasant relationships and had given up all hope of meeting anyone. Life seemed bleak particularly after the sudden, tragic death of her sister, Becky in October 2002. Miriam didn’t need anyone but God in her life. He was her source of strength and that dependence on God was needed before depending on the man she was soon to marry. God opened he eyes to a new way of life, a new outlook. He had a plan, she just didn’t know what it was at the time. Miriam was a member of friendsfirst for a while. She would scan through profile upon profile and even met up with a couple of friends who she maintained contact with. Matt’s first batch of profiles arrived in December 2003. It was within these that Matt was drawn to Miriam’s profile and Miriam was drawn to Matt’s. “There was something being placed on our hearts to gain contact with each other”. There was nothing particularly striking about their profiles but Miriam decided to text Matt, little realising that Matt was also in the process of sending a text to Miriam! Talk about perfect timing. After lots of chat and letter writing, Matt came to meet Miriam in her home town of Melksham. They spent a lovely day together talking, walking and of course, shopping! By the end of the day, neither of them wanted to part company. Only days later, Miriam felt that she needed to meet Matt in Taunton so a quick phone call on Christmas Eve 2003 was all it took to arrange. “We spent yet another lovely afternoon together. It all seemed too good to be true. We both felt so ‘right’ with each other. We had no doubts, reservations or reluctance with each other from a very early stage”. Matthew and Miriam spent New Year together and could see the hand of God at work. Miriam returned to work after the Christmas break and time together was at weekends and occasionally after work for dinner together when Matt drove from Somerset to Wiltshire to meet up. From then on in, their friendship spiralled into a relationship which acknowledged God continuously. On the 20th January 2004, Matt and Miriam got engaged which was fantastic but at the same time a concern to Miriam’s friends and family who believed things had happened so quickly. Understandable, but Matt and Miriam knew what God was doing and only time would reveal this. 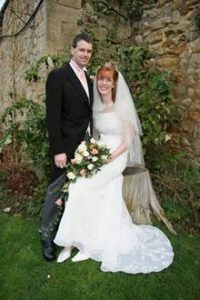 Matt and Miriam were married on 11th December 2004, “the best day of our lives”. Therefore, never give up hope. Just trust in the Lord with all your heart, lean not on your own understanding. In all of your ways acknowledge Him and He will make your path straight. Don’t worry about tomorrow. He’s got it under control. Just trust in the Lord with all your heart and He will carry you through.